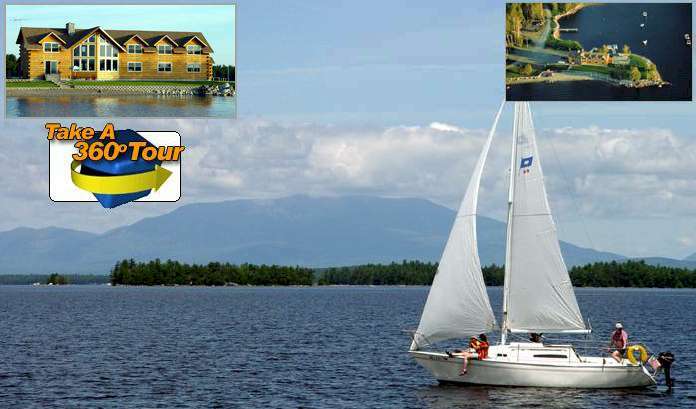 5 Lakes Lodge-Maine accommodations directory index. 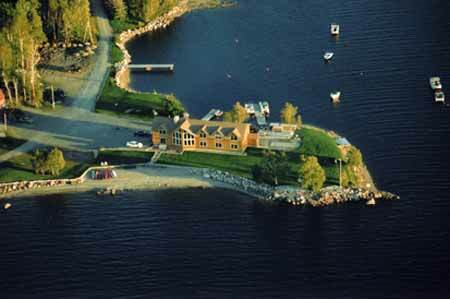 Our lodge is nestled on the shores of beautiful South Twin Lake, six miles west of Millinocket, Maine. 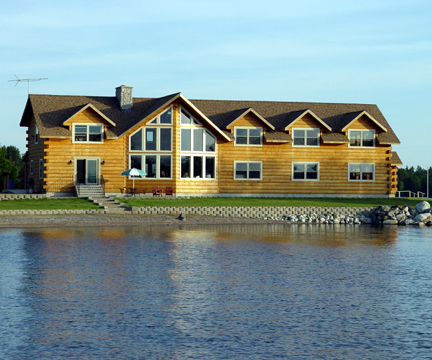 5 Lakes Lodge is a rustic yet elegant bed and breakfast inn. Built in the traditional Maine sporting lodge style, this modern log B & B features five luxurious rooms, all with commanding views of the lake, majestic Mt. Katahdin and numerous lesser peaks within Baxter State Park. Fed by the mighty West Branch of the Penobscot River, our five lake system, the Pemadumcook chain of lakes, is a recreational wonderland. From our accommodations, you can experience it all, boating, kayaking, canoeing, whitewater rafting and world-class fishing. Listen to the hauntingly beautiful cry of our loons. Or in the thousands of acres of surrounding woodlands you can search for moose, go bird watching or try hiking on the nearby Appalachian Trail or hundreds of miles of trails within Baxter State Park. Winter offers some of the best snowmobiling and x-country skiing to be found anywhere in the northeastern United States or Canada. No matter what your activity, at the end of your day relax by the fire in our Great Room or soak in the comfort of your own private hot tub. 5 Lakes Lodge is the best place for relaxation and offers the finest accommodations in Maine's Katahdin Region. We currently have 437 Distinct Resources in our Directory. SEO by Worldwide Traffic & Listings Doctor.